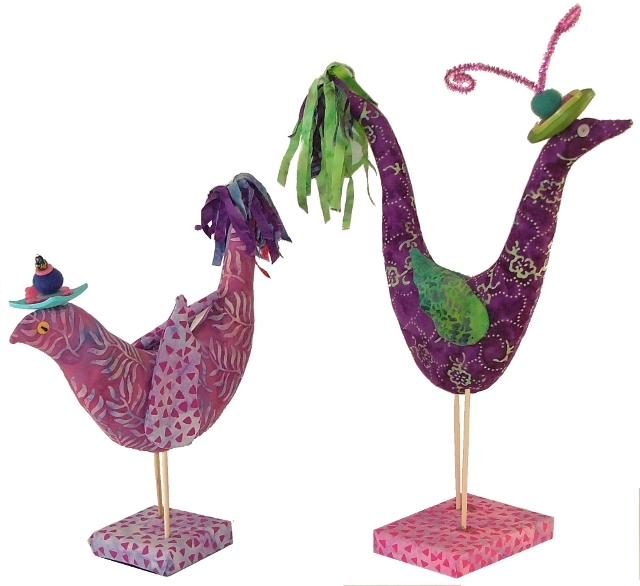 Create these 9" fabric birds with kooky button hats. The samples are made from the latest Princess Mirah batiks. The giant buttons and felt beads are available in our button section.